Like an artist whose paintbrushes are an important part of his creation, so is cutlery in any household or culinary business. The Premier Housewares Salad Servers come in a set of two and are made using Acacia Wood. 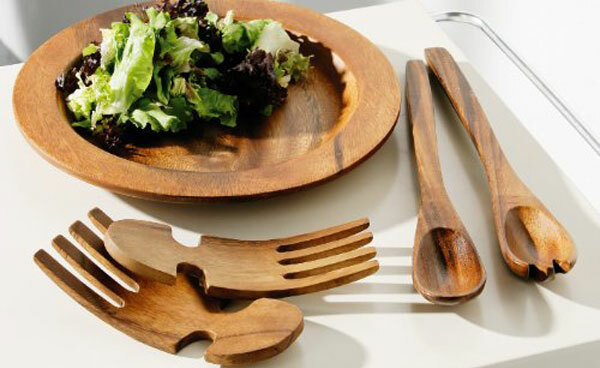 These salad servers give an earthy feel to any meal or dining party and are easy to take care of. 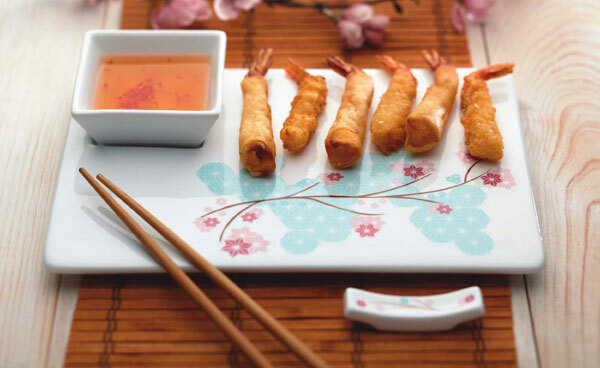 The World of Flavours presents Oriental Chopstick Serving Set which comes with individual porcelain rests. This set consists of four bamboo chopsticks and is the perfect way to explore Malaysian, Chinese or Thai cuisines. Made of bamboo, these chopsticks can be washed by hand whereas the porcelain hand rests can be safely washed in dishwasher. The Kitchen Craft Professional Spaghetti Spoon speaks of Kitchen Craft’s quality. Made of stainless steel and oval in shape, this spoon is reasonably priced and this spaghetti spoon can be used as a gift present as well. Jamie Oliver’s name to this product makes it standout. The Jamie Oliver JME Essential Tongs are heatproof and great for BBQs where the tongs can be put to their best use for handling meats of all sizes. These tongs can also be used for serving purposes. The Villeroy & Boch Stainless Steel Caffe Club Pastry Fork looks trendy in design. Reflecting minimalism, this set of club pastry forks are made of stainless steel and the fork sleeve is made up of synthetic material. The Villeroy & Boch Stainless Steel Caffe Club Pastry Fork comes in a variety of colours from cornflowers to blue. The Kitchen Devil Lifestyle Vegetable Knife is light and an ideal choice for chopping vegetables. It can be used every day and is dishwasher safe. The Kitchen Devil Lifestyle Vegetable Knife comes with a ten year warranty. Premiers Housewares Children’s Cutlery is a set of three. This three piece set is ideal for children and is safe for them as well. The children’s cutlery set is long-lasting and made of stainless steel. It is suitable for dishwasher. The Long Handle S/S coffee or ice cream spoon by Signature is a six piece set which looks elegant and perfect for dessert after a magnificent dining party. Made of stainless steel this set of spoons is simple to clean. Kitchen Craft Professional Stainless Steel Cake Server is made of stainless steel. The cake server is shaped in oval and has a firm steel grip which is comfortable to hold. The Kitchen Craft Professional Stainless Steel Cake Server can be safely cleaned in dishwasher. This set of Chinese spoons is made of ceramic and is safe to wash in dishwasher. This set of Chinese spoons is perfect for parties where the theme has been set oriental. The Chinese Soup spoons Set of Six by Gifts of The Orient is the perfect gift for a cutlery lover whether it is for Christmas or a wedding anniversary.